GeoDrone Delivery Drone Test Success #drone #droneday « Adafruit Industries – Makers, hackers, artists, designers and engineers! French express delivery service GeoPost successfully transported a four pound package over a distance of 4,000 feet during a test. 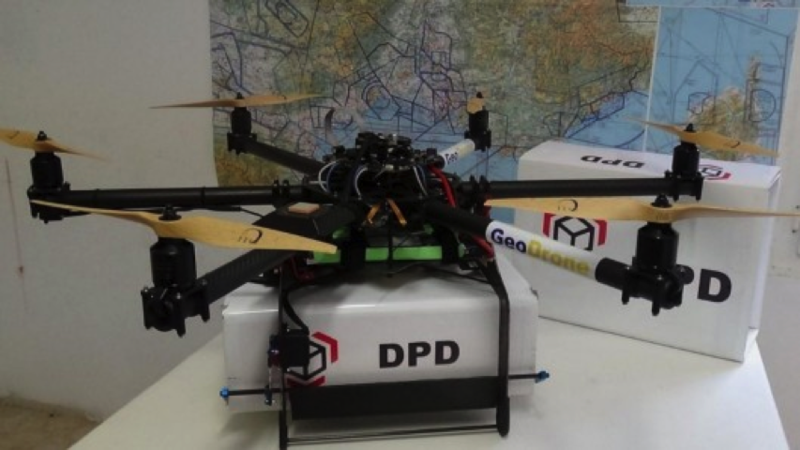 As part of its ongoing GeoDrone project, GeoPost partnered with Atechsys to develop an electric delivery drone capable of autonomously transporting a parcel up to dimensions of 40 x 30 x 20 cm (16 x 12 x 8 in) and 4 kg (9 lb) in weight within a 20 km (12 mile) radius. 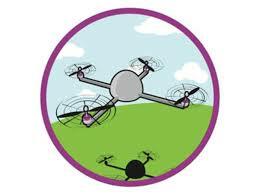 The project is looking at the use of drones to access isolated areas such as mountains, islands and rural areas, as well as providing a means of responding to emergency situations. Demonstrating the possible use of drones in real world conditions, the test involved automated take-off, flight phase, landing and return to base. Unfortunately, GeoPost hasn’t released any specs on the prototype itself but we can tell you that the 3.7 kg (8.2 lb) six-rotor prototype is reported to have successfully transported a 2 kg (4.4 lb) package over a distance of 1,200 m (about 4,000 ft) at the CEEMA site in the south of France.